Bee-gathered pollens are rich in proteins (approximately 40% protein), free amino acids, vitamins, including B-complex, and folic acid. 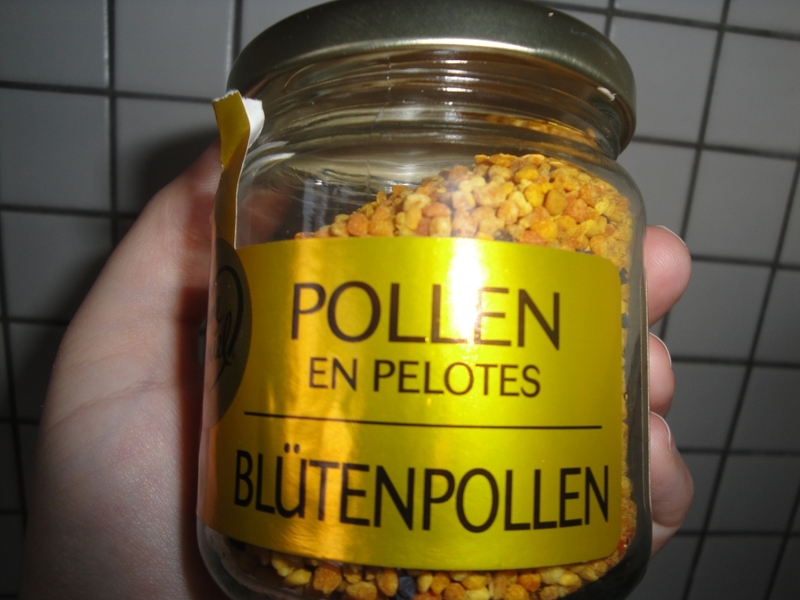 Bee pollen is more rich in proteins than any animal source. It contains more amino acids than beef, eggs, or cheese of equal weight. About half of its protein is in the form of free amino acids that are ready to be used directly by the body. 1. Energy Enhancer - The carbohydrates, protein and B vitamins can help keep you going all day without fatigue. 2. Skin Soother - Use to treat inflammatory conditions and common skin irritations like psoriasis or eczema. The amino acids and vitamins protect the skin and aid the regeneration of cells. 3. Respiratory System - Antioxidants that may have an anti-inflammatory effect on the tissues of the lungs, preventing the onset of asthma. 4. Treating Allergies – Pollen reduces the presence of histamine, ameliorating many allergies. Everything from asthma to allergies to sinus problems were cleared, confirming that bee pollen is wonderfully effective against a wide range of respiratory diseases. 5. Digestive System - Enzymes assist your body in getting all the nutrients you need from the food that you eat. 6. Immune System Booster - Pollen is good for the intestinal flora and thereby supports the immune system. It's also rich in antioxidants that protect the cells from the damaging oxidation of free radicals. 7. Treats Addictions – Used holistically for healing addictions and inhibiting cravings by suppressing impulses (weight management).